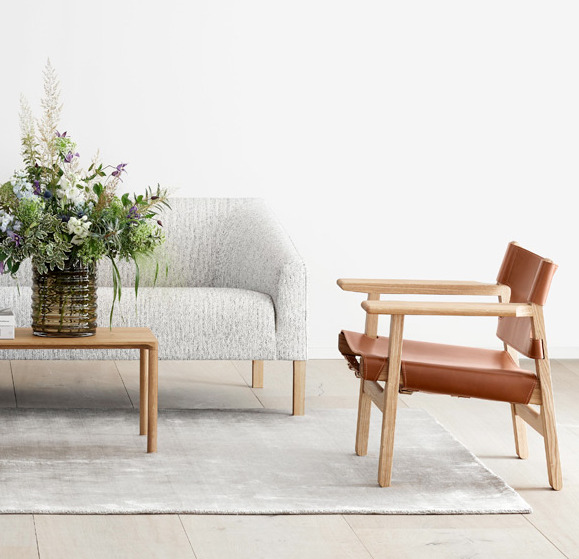 Kile is built on a solid wood frame and upholstered in cold cured foam. The comfortable upholstery is also hard-wearing and very resistant to daily use and wear. In addition to conveying elegance, the one-piece straight back and angled armrest which, in addition to conveying elegance, ensures extra comfort for the user. Jasper Morrison has allowed the ends of the sofa to open out slightly to make it more welcoming. In line with Jasper Morrison’s design philospophy, Kile is able to blend seamlessly into daily life as either a centrepiece or inconspicuously. The sofa is new in dimensions and distinct in its clean-cut design language. 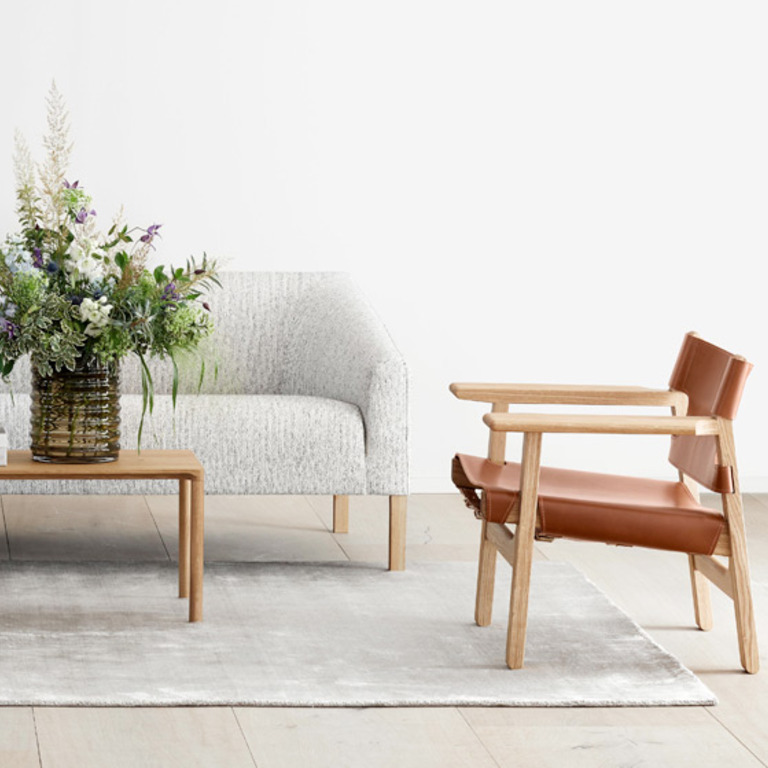 At the same time, it features the same square legs which can be found on Børge Mogensen’s iconic leather sofas and wing chair. PLEASE NOTE: The price shown here is the entry-level price for a 2-seater sofa. For a 3-seater sofa the entry-level price is 4.400 euro. The final price depends on your choice of upholstery. We will contact you for the large possibilities in fabric and leather. "DISCRETE OBJECTS ARE MORE SUCCESFUL IN BUILDING GOOD ATMOSPHERE THAN EYE CATCHING ONES". Jasper Morrison is a British multidisciplinary designer, well known for creating the ‘Supernormal’ concept together with Japanese designer Naoto Fukosawa. A highly productive designer, Morrison splits his time between studios in London, Tokyo and Paris. We will happily inform you about the best care for your sofa depending on the wood treatment and upholstery of your choice.